Planning your wedding can be an overwhelming experience. You want everything to be perfect on the big day and you don’t want to mess it up with the planning. Well, to make sure that it goes on well and smoothly, start the plans as early as possible. The budget is one of the most important parts of a wedding. You want to have the most amazing wedding anyone has ever witnessed. Well, it also translates to a lot of cash. Setting down a workable budget is a step in the right direction as it will help you determine the type of wedding that you will have. Another important aspect of a wedding is the date. As much as it is important to have a specific date in mind, have some room for flexibility. Imagine settling on a certain date and then finding out that your dream venue is already booked on your date. What do you do then? Have an open mind that anything is possible. The wedding list is a crucial part of a wedding. Who do you invite? Who are you willing to leave out? More so if you intend on having a small wedding, you should start working on the wedding list as early as possible. This way, you will have ample time to include and remove people from the list as time goes by. A wedding without bridesmaids and groomsmen is not as fun. Normally, you know your bridesmaids and groomsmen before even being engaged. Now that you have them in mind, it is time to ask whether they agree to be in the lineup. Be sure that they are what you want because you cannot remove them afterward. 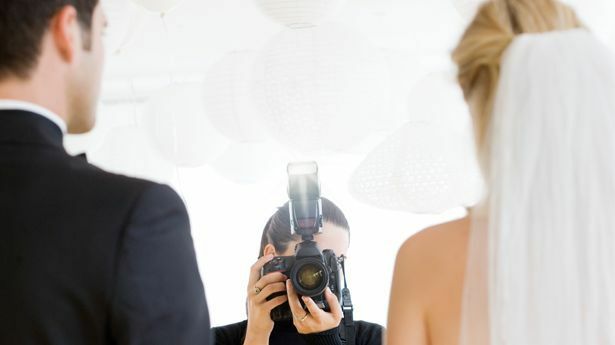 The best wedding photographers are in high demand and you want to get the best for your big day. Book the photographer as early as possible so that they can learn more about you and know you better. This way, on the big day you will have an easy time interacting with each other. Start the search for the wedding dress as early as 12 months before the wedding. Finding the perfect one is not an easy task. You may have to scan through hundreds if not thousands of dresses before getting ‘the one.’ You need to make appointments with a number of bridal boutiques and try out as many dresses as you deem fit. Don’t settle for ‘almost perfect’, make sure it is perfect. Don’t forget the shoes and other accessories to complete your perfect look. Start planning for your honeymoon as early as possible. From the budget to the location, to flights and hotels, all these need to be carefully factored in. The earlier you plan and book, the more you are likely to save. Do you prefer live music in your wedding or hiring a DJ? What does the venue accommodate? How do you want your guests to remember your wedding? Book your entertainment as early as possible. However, you do not have to settle on the exact song list immediately. As long as you have booked the entertainment package early, you can fine-tune the rest later. The flowers. From the bridal bouquet to the wedding ceremony and reception décor. This depends on the season of your wedding and your favorite blossoms. Work hand in hand with your florist to achieve the perfect look. This is where you will do a lot of tasting. The food and drinks menu needs to be perfect. Your caterer should understand your needs and also have in mind the vegetarians and allergy sufferers where needed.